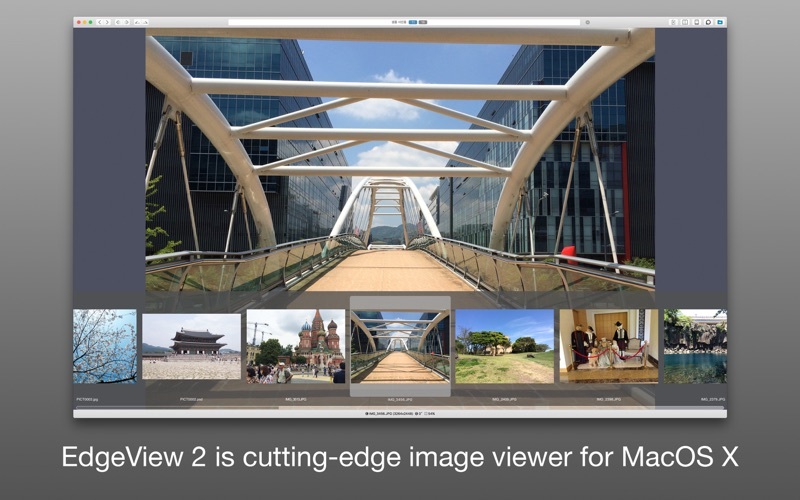 EdgeView 2 is a cutting-edge image viewer for MacOS X. 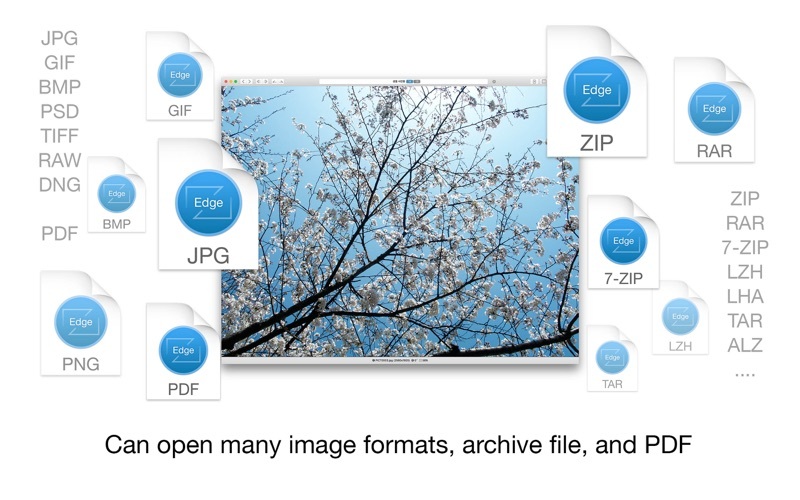 You can open various image files, can also open archive files like as ZIP, rar without extraction. You can check and open files on built-in file browser. And can connect to FTP and open the file directly. 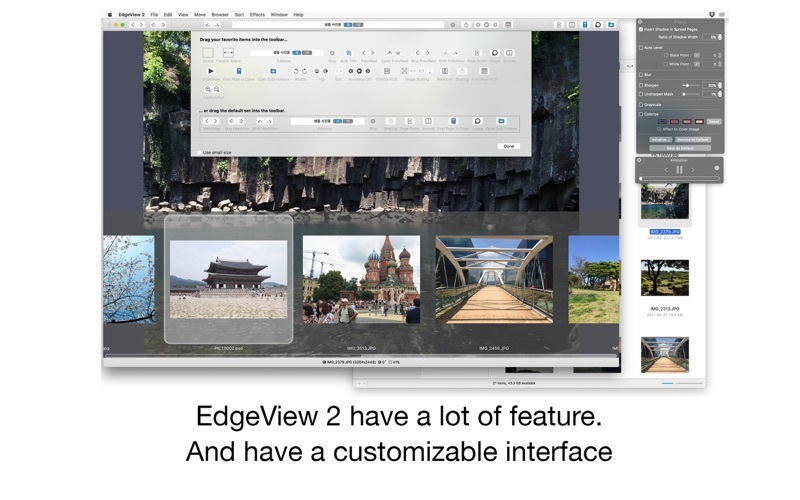 EdgeView 2 is the best choice when viewing and managing image files, cartoon files like as archives. Supporting major archive formats such as ZIP, RAR, CBZ, CBR, 7zip, ALZ, etc. Twopage spread, reading from right to left, etc. Move previous/next, skip, move only one page(shift previous/next), etc. Insert shadow in spread pages, auto level correction, blur, sharpen, unsharpen mask, grayscale, colorize, etc. Can sharing image via SNS. Can be arranged by file name, rates, writer, category, etc.